No matter how good the digital camera, there will always be noise. The top cameras have internal processors which minimize noise to acceptable levels. But, you can always do a little better. 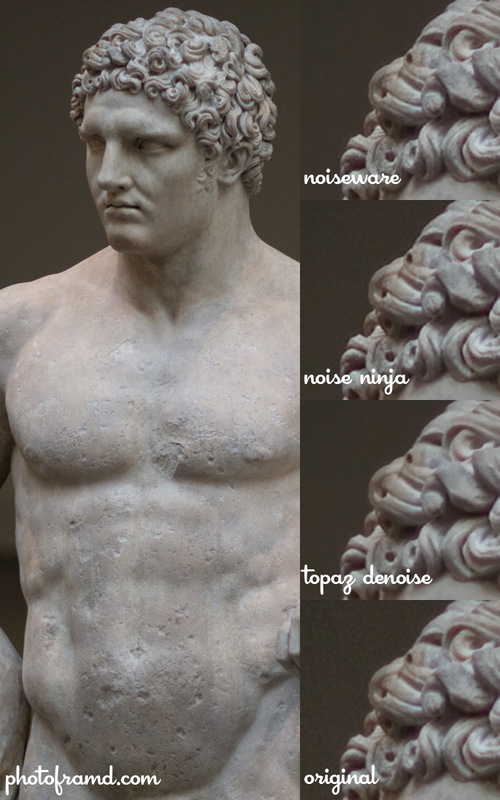 There are three top noise reduction products. Each have enough settings to produce desired results with sufficient tweaks. But, when you are under a deadline and/or an hourly-rate, what will produce the best results with the least amount of work? The following image sets show the original image on the left and the same area (at 100% view) processed with Imagenomic Noiseware, Picturecode Noise Ninja and Topaz Labs DeNoise on the right. The final image in the lower right is the same section (at 100% view) unprocessed for reference. Each section was processed with the plugin’s default settings. No tweaks…just quick in-and-out. Each program has a point where noise suppression will also overly smooth details. Another side effect is a halo around overly sharpened details. You must keep these effects in mind especially when you start tweaking the settings. More importantly, you should download the trail versions, watch the videos and see which one works best with your work-flow. Each program works as a Photoshop plugin and is priced at $79.95, but there are coupons and discounts floating around. 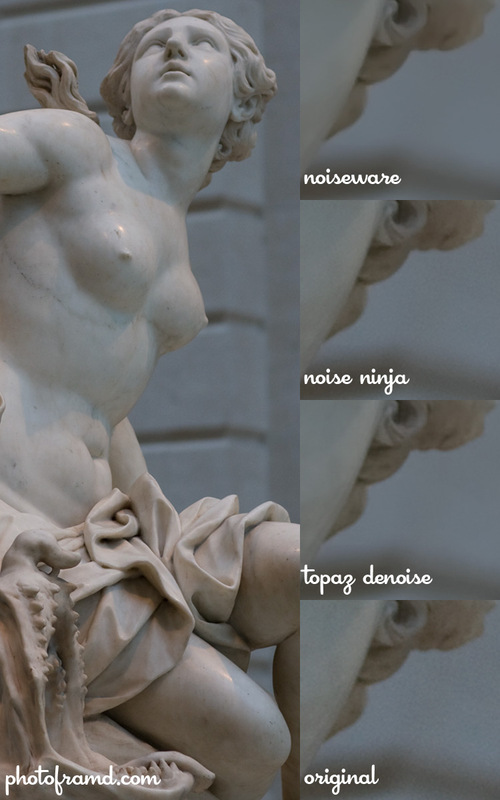 Noiseware and Noise Ninja also have standalone versions which do not require Photoshop.